The vision of Olney Elementary School is to create life-long learners and career ready citizens that celebrate diversity, model integrity, and exemplify excellence in everything they do. 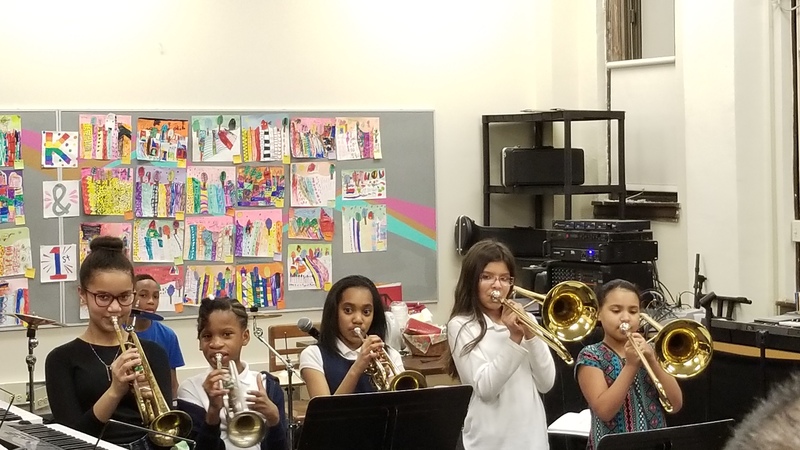 It is the mission of our school to provide an active learning environment where each student is valued and challenged to meet his or her individual potential. Our learning community constantly strives to provide appropriate supports, challenges, consequences, and rewards. We endeavor to prepare our students to think independently, work cooperatively, and view obstacles as challenges to be met. 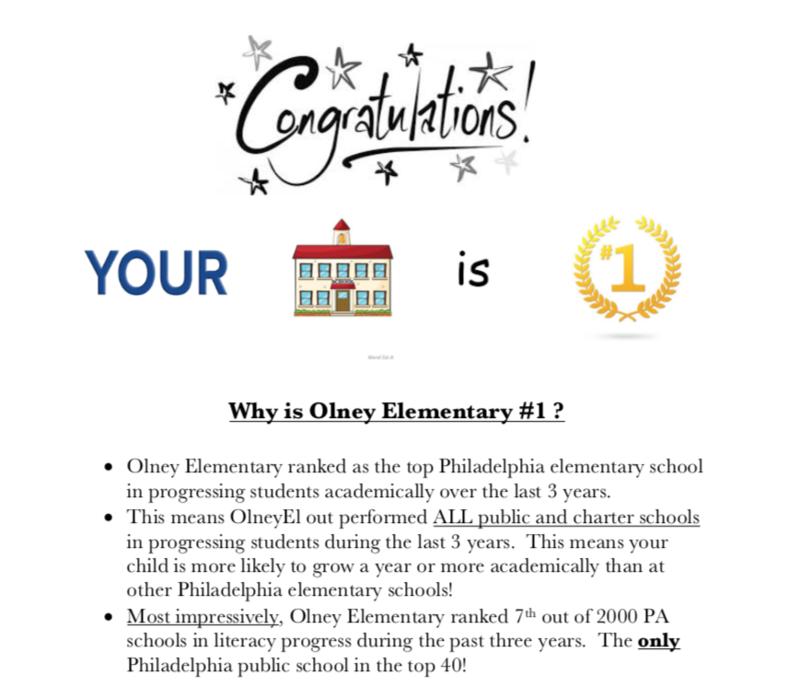 · Olney Elementary ranked as the top Philadelphia elementary school in progressing students academically over the last 3 years. · This means OlneyEl out performed ALL public and charter schools in progressing students during the last 3 years. · Most impressively, Olney Elementary ranked 7th out of 2000 PA schools in literacy progress during the past three years. The only Philadelphia public school in the top 40! Providing opportunities for students to explore the world through literature, hands on experiences, and exposure to various career opportunities. Using every resource at our disposal to ensure that students are getting the foundational skills and critical thinking skills they will need to excel as they move forward. Pathways are created to allow students to pursue their dreams.